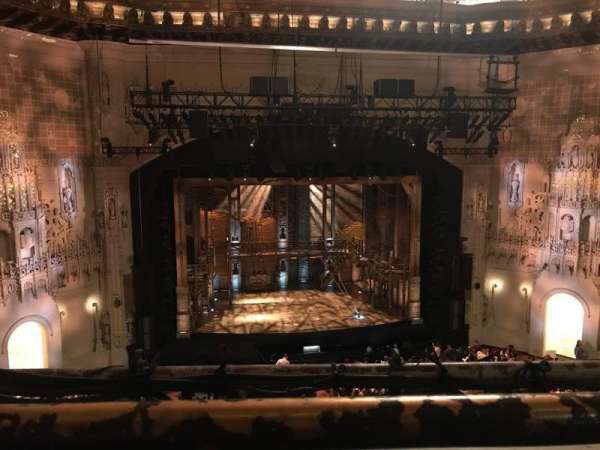 There's a rail below adult eye level - might be an issue for some children. 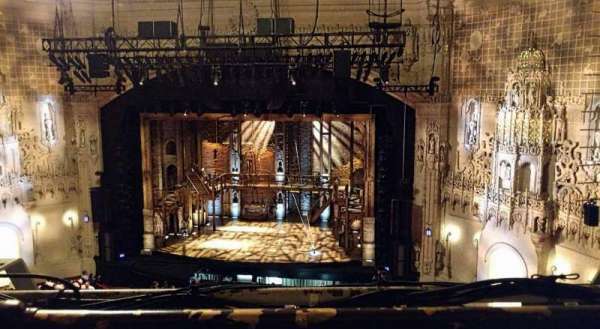 You do lose the view of a bit of the stage on the left. 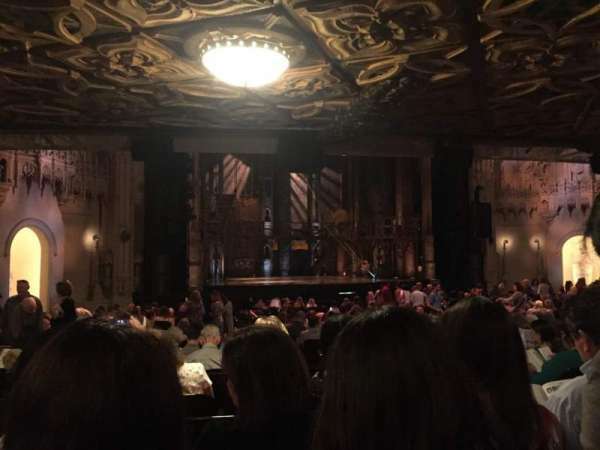 A bit far back, but definitely not bad! 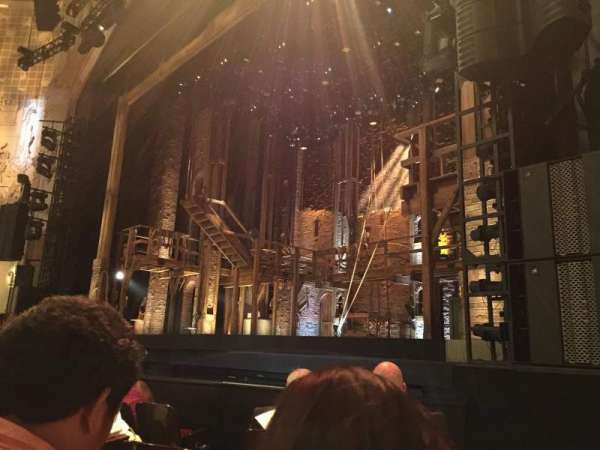 You can't see everything that is going on, but these are good seats! 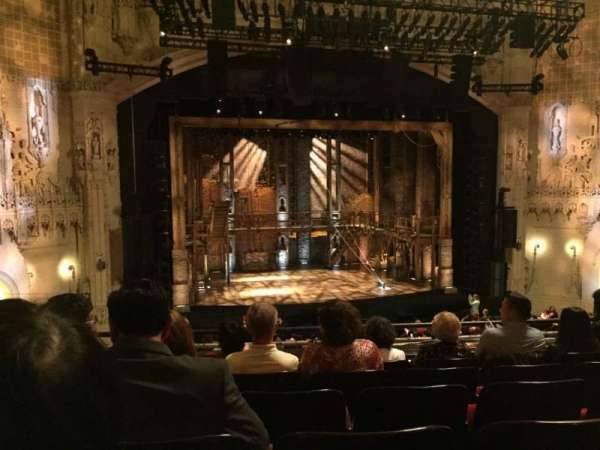 Pleasantly surprised and how good this view was! 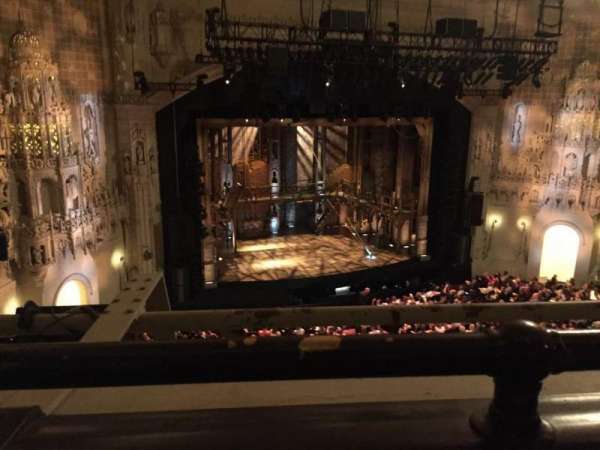 Maybe being some binoculars if you want to get a better view of facial experessions, but honestly I was happy without them. 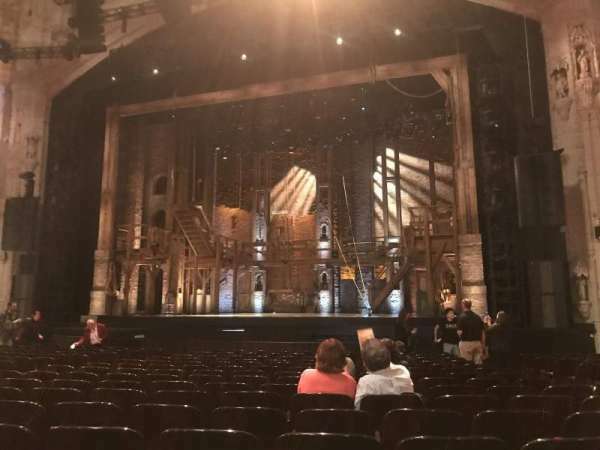 Amazing seat!! 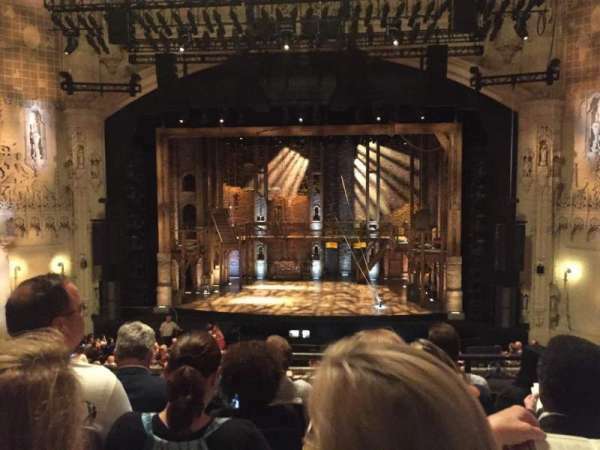 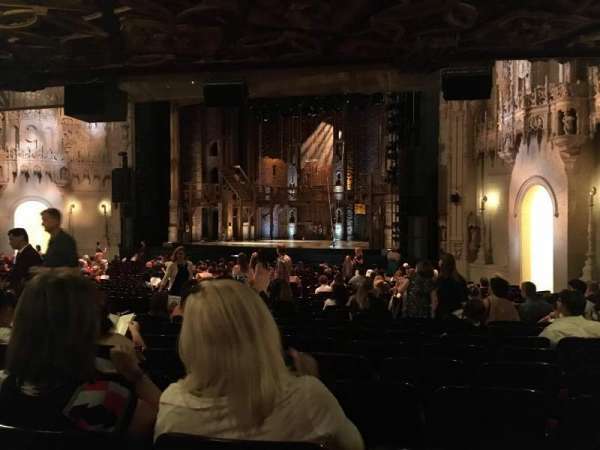 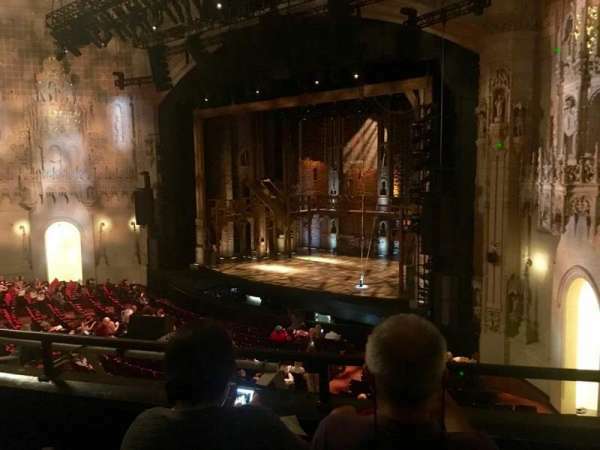 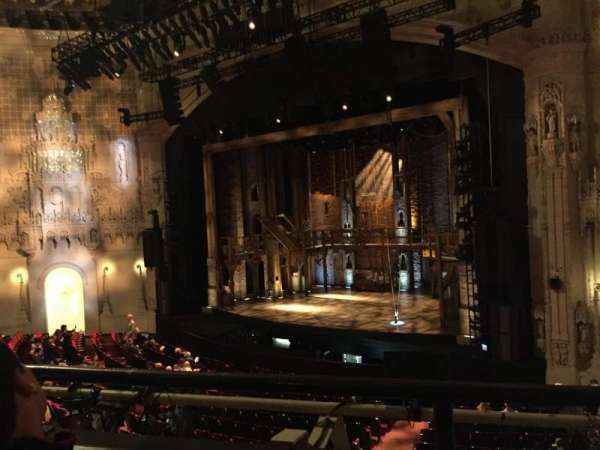 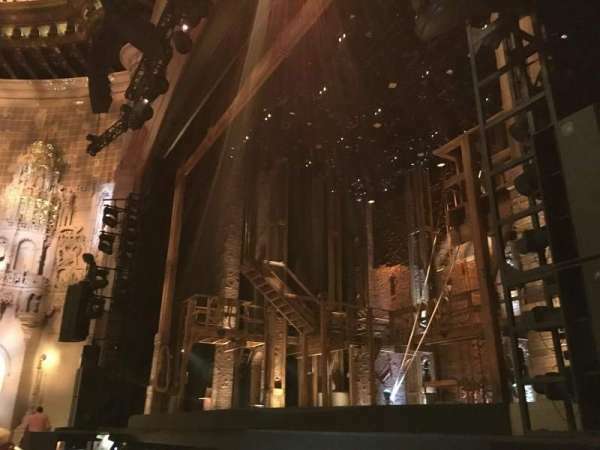 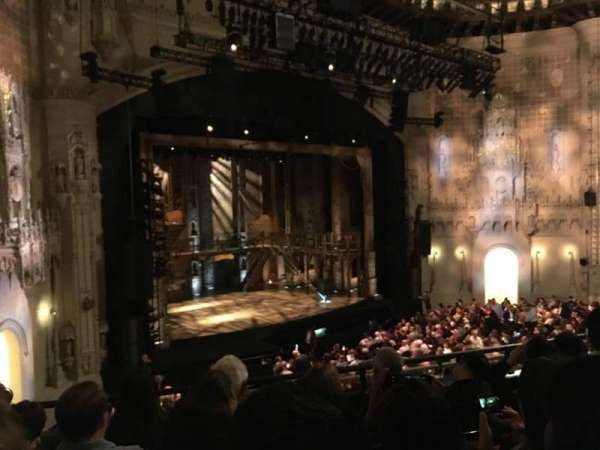 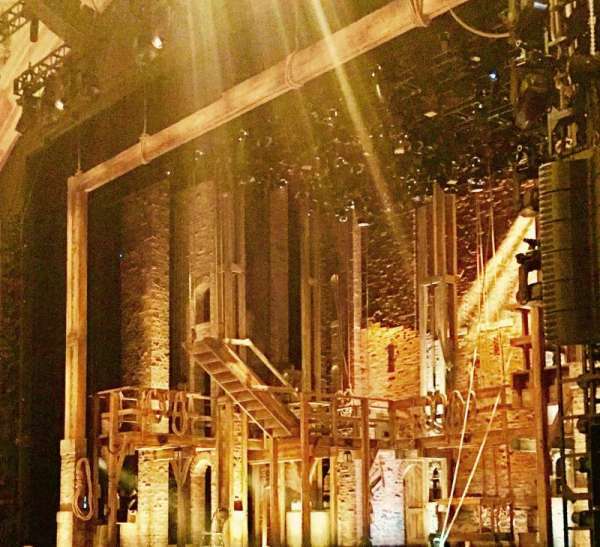 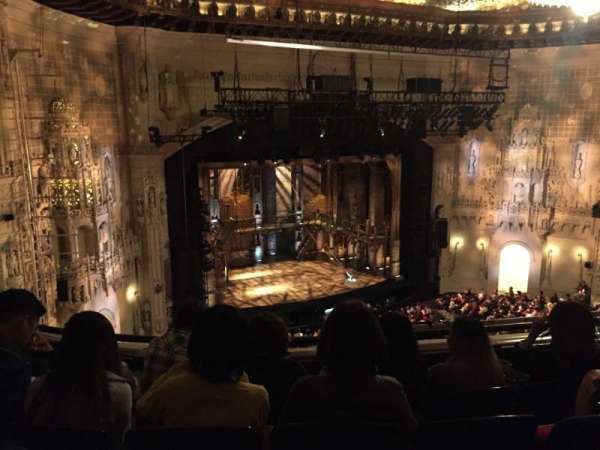 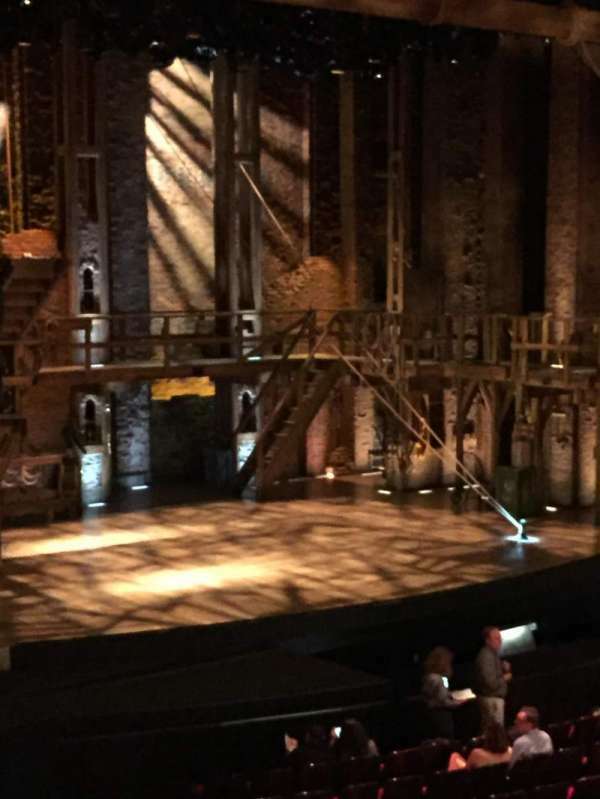 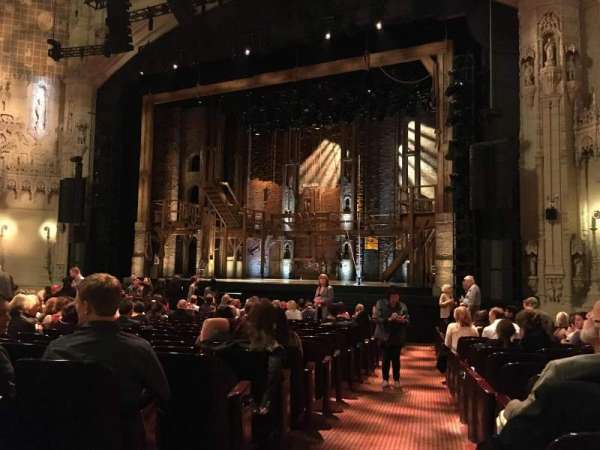 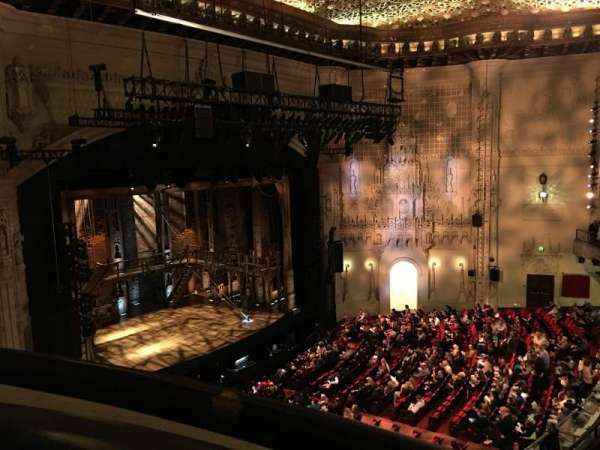 You see most of the action and the actors' faces, and while the view obstructs the right balcony, you only miss some dancing and one or two minor scenes (Eliza and Phillip in Schuyler Defeated and Charles Lee's rant in Stay Alive). 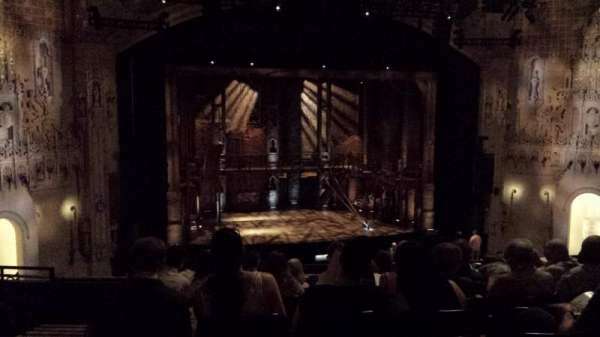 This is a partial view seat and it was excellent, a tiny part of stage right was obscured. 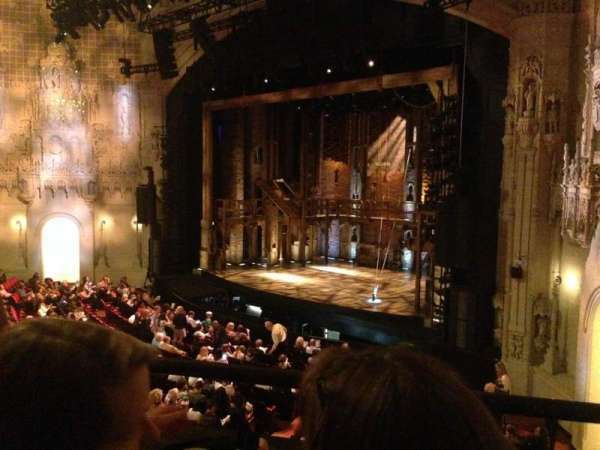 I had binoculars as well which were perfect.